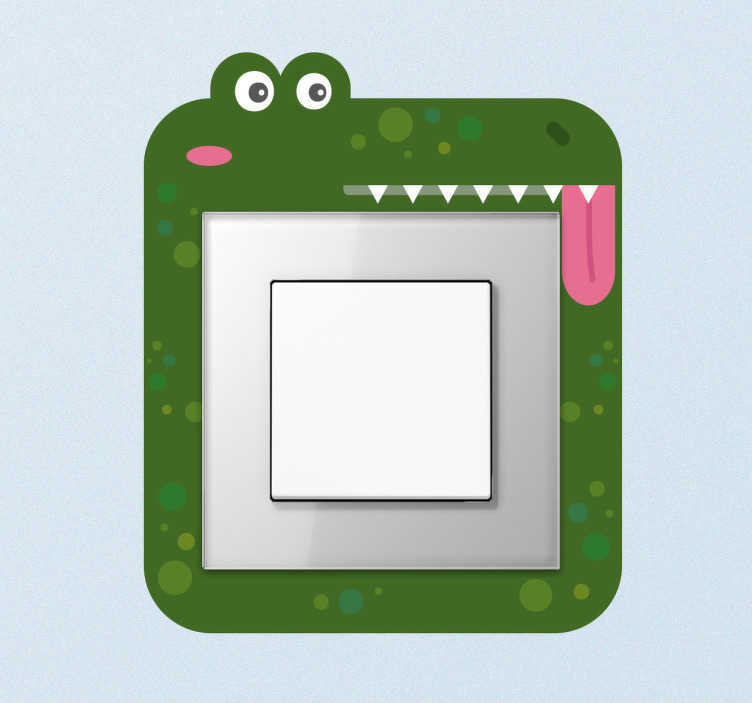 This fun crocodile design ideal for children is the perfect decorative wall sticker if you're looking to style your light switches! Showing a big green dancing crocodile with the light switch in its belly, this vinyl is ideal for kids bedrooms! Available in a wide variety of different colours and as easy to apply as it is to remove, this sticker leaves absolutely no residue upon removal!